Ambassador Fabian’s blog, KP Fabian, Analyst - international political developments, global issues, Indian national issues. 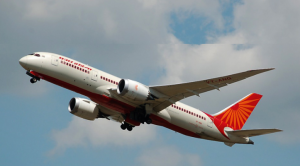 A distinguished diplomat who handled the evacuation of 176,000 Indians, narrates how Air India carried out this task. On 2nd August 1990, Iraqi President Saddam Hussein decided to have a ‘picnic’ in Kuwait by sending in his army across the border. 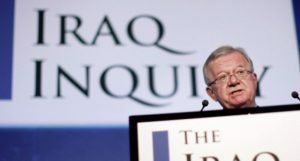 He had massed troops at the border for weeks, and on 25th July 1990, the US Ambassador April Glaspie encouraged him to have the picnic, wittingly or unwittingly, by declaring that her instructions were to strengthen relations with Iraq; the US did not want to take any side in ‘intra-Arab’ disputes, a clear reference to the mounting tension between Iraq and Kuwait. Saddam Hussein foolishly concluded that he could invade Kuwait and get away with it. Little did he know that the US wanted him to invade Kuwait so that the Pentagon could have a permanent presence in the region. 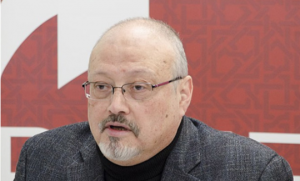 Seventeen days after the October 2 “disappearance” of Jamal Khashoggi, Saudi Arabia officially stated that he was killed in its consulate in Turkey when he went there to collect papers permitting him to marry his Turkish fiancée Hatice Cengiz. The marriage had been fixed for October 3. Cengiz had waited for hours in vain for Khashoggi to come out of the consulate and informed Reuters about his ‘disappearance’ on October 3. The same day, Saudi Crown Prince Mohammed bin Salman (MbS) told the US news agency Bloomberg that he did not know where the journalist was and that consent would be given to Turkey to conduct an investigation inside the Consulate if it were to ask for one. MbS added that he ‘had nothing to hide’. Now that the Modi government has done more than four years and we still do not know as yet whether Modi will succeed in his plan to succeed himself as Prime Minister following the 2019 general election, it is time to draw a balance sheet of India’s ‘Modified’ foreign policy with its emphasis on a “56-inch chest”. Prime Minister Narendra Modi invited the South Asian Association of Regional Cooperation (SAARC) heads of state/government for his inauguration, a gesture that was almost universally praised by the media and the academia with none pointing out that it was an attempt to project himself as the ‘new emperor’ of South Asia. 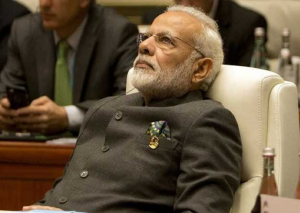 If the intention was, as advertised assiduously, was to improve relations with the neighbours, the current state of disrepair in relations with Pakistan and Nepal shows that Modi has been floundering. As to do full justice to the theme would require a series of essays, or better still, a book, this article will confine itself to two topics about how India under Modi has dealt with the US. 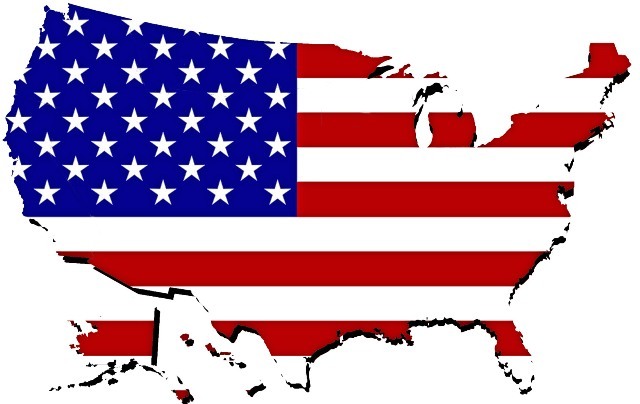 Dealing with the US is, for most countries, the most important part of foreign policy despite the fashionable talk of our living in a multi-polar world. That we live in a financially unipolar world dominated by the US dollar with US imposing sanctions on other states, either through an obedient UN Security Council, or otherwise, is often ignored. The first topic for us is US’ sanctions on Iran, and the second is US sanctions on states entering into ‘significant’ defense deals with Russia in the context of the deal with Russia on S-400 anti-missile system. Saudi Arabia, United Arab Emirates (UAE), Bahrain and Egypt had listed 13 demands on June 23, 2017, warning that there would be serious consequences if Qatar failed to yield by July 2. Qatar rejected the ultimatum and the four countries have not yet carried out their threats. Instead, they have softened their stand, vaguely signaling that it might be enough if Qatar were to accede to ‘Six Principles’. In short, there has been no escalation and we can clearly see a degree of de-escalation. The June 23 demands were handed over in writing to Kuwait, the mediator, which then passed it on to Qatar. After the text of the demands was made public, the international community came to know about their unreasonableness. Doha has so far handled this crisis with admirable maturity and logic, scrupulously avoiding any action that can spoil its case. The world came to realise that the four countries wanted Qatar to surrender its sovereignty not just in the realm of foreign policy but also align its social, political and economic policies with that of the Gulf Co-operation Council (GCC) countries. President Barack Obama, in his last official overseas tour to Greece, Germany, and Peru, reassured Europe that there would be continuity in American foreign policy under President-elect Donald Trump. While Obama tried to convince his interlocutors about continuity in US policy, Trump’s statements during the campaign brought alarm and concern to America’s allies. Obama himself had called Trump as ‘unqualified’ to be President and a peddler of ‘wacky ideas’, while touring Asia in September 2016. Even if a good part of Trump’s rather colorful choice of words was meant to attract voters, his remarks have set off alarm bells in world capitals. What then could be the impact of the Trump victory on US foreign policy? While Obama could have handled President Vladimir Putin better, his persistent demonization of the Russian President and inability to establish a rapport with him painted US policy into a corner. Even if Putin annexed the Crimea in brazen disregard for international law, the US played a key role in creating a situation in Ukraine that justified Putin’s fears about being encircled by NATO. Obama should have taken into account the fact that Russia had a naval base in the Crimea since 1784. In the aftermath of his victory, Trump and Putin have agreed to mend the US-Russia relations. 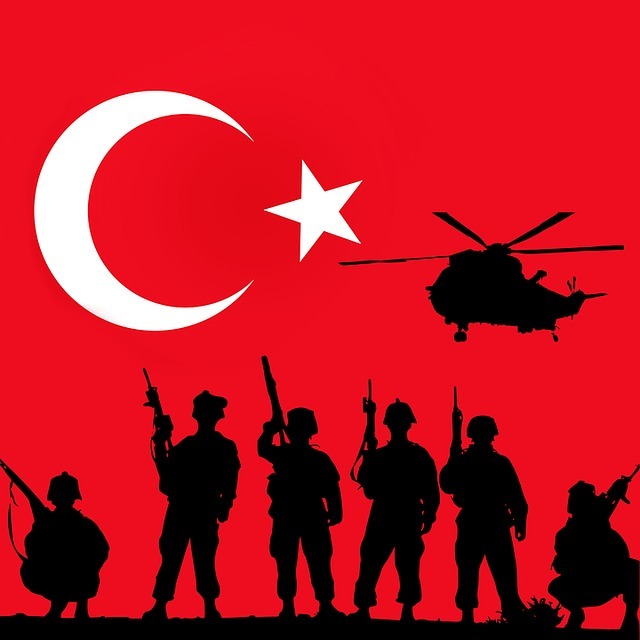 To the relief of most Turks and of most of the global community, the military coup attempt in Turkey failed miserably. But the coup attempt itself and subsequent events in Turkey raise a number of questions that are of concern to Turks and the well-wishers of that geopolitically important country. While the elected government of President Erdogan deserved to survive, it does not follow that, in that process, democracy in Turkey got strengthened. If the coup had succeeded, Turkey would have entered an unchartered and perilous territory. It now appears that Turkey is being led by Erdogan in a direction that is dangerous for the country. To briefly recall the events in chronological order: When the coup started with rebel military units taking control over the Bosporus Bridge linking Asia and Europe at 10:29 p.m. local time on Friday, 15 July 2016, President Erdogan was holidaying in the beach resort of Mirmaris. The rebels took control of some airports and traffic hubs, bombed the parliament and deployed tanks in front of the palace of the President in Ankara. The rebels got the state television to read out their statement by 11:25 p.m., in which they claimed that they had taken over power and advised the people to remain indoors. Only a few minutes later, it became known that the army chief was under detention. By 11:47 p.m., Erdogan whose whereabouts was unknown, availed of his smart phone to address the people through private TV channels. He told the people that he was in charge and exhorted them to come out into the street and defy the ban imposed by the rebels. 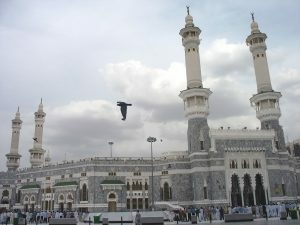 The mosques too got active and the faithful were told to be on the street to confront the tanks of the rebels. Hundreds responded, the rebels got cold feet, and many of them were beaten up by the enraged citizens. By 03:20 a.m., Erdogan’s business jet landed at Istanbul airport which had been secured by his supporters. By 04:00 a.m., Erdogan addressed the nation on television. By 06:39 a.m., he addressed a large crowd on the street. And by 06:49 a.m., the rebels guarding the Bosporus Bridge surrendered themselves to the police and the people, marking the collapse of the coup. In short, the coup started to collapse when Erdogan talked to the people through his smart phone and the collapse was completed in practical terms when the rebels surrendered at the Bosporus.